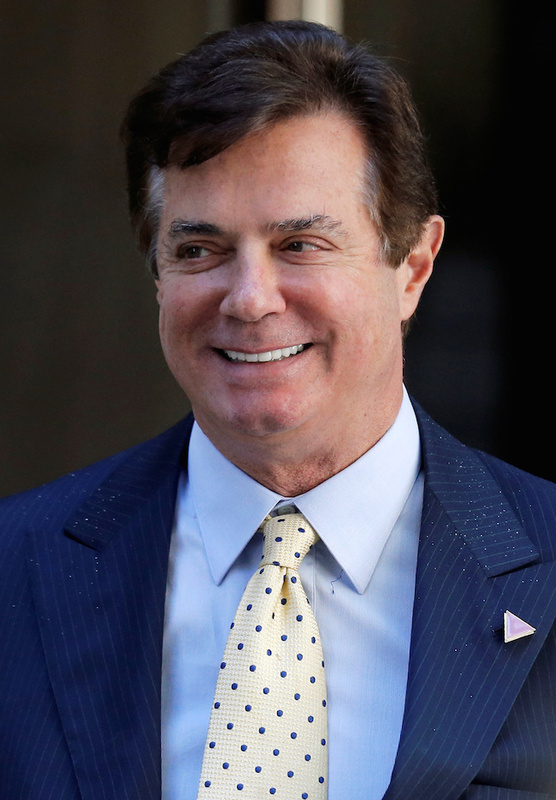 Former Trump campaign aides are telling The Daily Caller that they increasingly believe former Trump campaign manager Paul Manafort will be indicted for crimes such as money laundering or tax evasion. One of the former campaign advisers has knowledge of the ongoing investigations into Manafort, a longtime Republican operative who joined the Trump campaign last March. Another former aide said that his knowledge of Manafort’s history of working with despots, coupled with news reports about Mueller’s investigation, led him to believe that an indictment of Manafort is becoming more likely. Reuters reported that Mueller might use money laundering charges in order to flip Manafort into cooperating with their probe into Russian election interference. Roger Stone, a Trump confidant and former business partner of Manafort’s, pointed TheDC to Manafort’s Italian heritage. “We Italians are tough. I predict Mueller is unsuccessful in his efforts to blackmail Manafort into bearing false witness against the president,” Stone said. A Washington insider described Manafort to TheDC as notoriously sketchy with money. Manafort has not been accused of wrongdoing, but speculation has grown in recent months that he could be in dire legal trouble over his real estate dealings and foreign business activities. The former Trump advisers told TheDC they have no knowledge of any collusion with the Russian government on the presidential campaign. One aide stressed that any financial crimes by Manafort are his own problem and not that of the White House. “Ill-informed speculation has become the new Washington parlor game. Despite breathless headlines, it is increasingly clear the Russia Collusion story is eroding,” Manafort’s spokesman Jason Maloni told TheDC. Maloni declined to comment when asked specifically about financial crimes. One of the former aides was interviewed by a Congressional committee investigating Russian interference and told TheDC that many of the questions were about Manafort’s finances. “Investigators appeared focused on finances and business relationships of the Trump family and top associates such as Paul Manafort and General Michael Flynn,” the former Trump campaign adviser told TheDC. “They are casting an extremely wide net and speaking with anyone who might have any relevant information,” the former adviser added. Mueller has ramped up the investigation of Manafort. In July, Mueller, a former FBI director, got approval to conduct a raid of Manafort’s Virginia home, reportedly to search for business records. 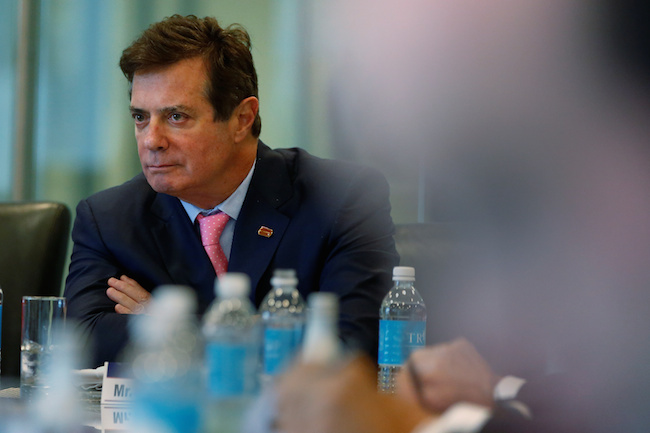 A source close to Manafort suggested that the former Trump campaign manager might sue Mueller over the raid due to legal issues with the action. Mueller is also using a federal grand jury to obtain subpoenas for records regarding Manafort’s activities and to compel witnesses to cooperate with the investigation. Subpoenas were recently issued for Manafort’s former attorney and his spokesman Maloni. And according to Politico, Mueller’s investigators have also met with Manafort’s son-in-law, Jeffrey Yohai, in an effort to get him to work as a cooperating witness against his father-in-law. Yohai and Manafort have partnered together on various real estate deals. The White House has been distancing itself from Manafort for some time, but few in the Trump orbit have gone as far as discussing indictments against Manafort. The two former advisers who spoke to TheDC did so on the condition of anonymity because of the sensitivity of the matter. 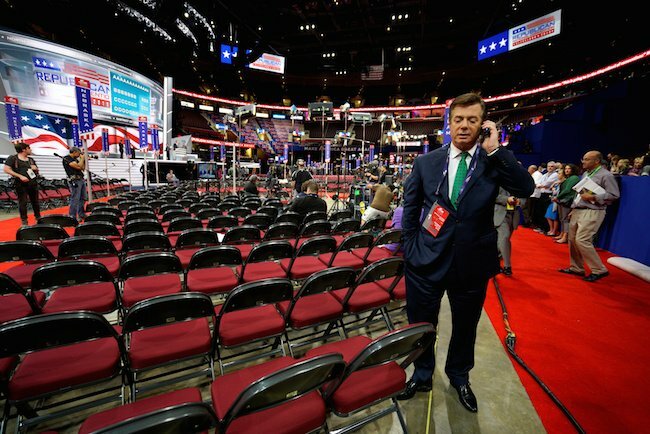 Prior to joining the Trump campaign, initially as its convention manager, Manafort worked for individuals like Philippines dictator Ferdinand Marcos and a Ukrainian political party that supported Viktor Yanukovych, Ukraine’s former president and an ally of Vladimir Putin. The Justice Department has been investigating Manafort’s work in Ukraine since early 2014, according to the Associated Press. Manafort was paid millions of dollars for his work for Yanukovych, who fled Ukraine in 2014. In June, Manafort registered as a foreign agent with the Justice Department for his work for Yanukovych, revealing that he was paid $17 million. Manafort’s New York real estate dealings are also said to be of interest to Mueller. Ron Hosko, a former FBI assistant director who retired in 2014, says that from his vantage point, he cannot say whether or not an indictment is forthcoming. But he says that the pre-dawn raid of Manafort’s home was “a pretty big and public step forward by Mueller” that “strongly suggests” that there is probable cause that Manafort committed a crime. “Mueller is a serious minded investigator and prosecutor. He has surrounded himself with a lot of financial crimes talent,” Hosko told The Daily Caller. Hosko said it’s possible the raid was intended to serve as a message to others involved in the Trump matter.